and the right hand corner would wait another 15 years. Photographer unknown. 1, 3, 5&7 Tanner St, 1984. 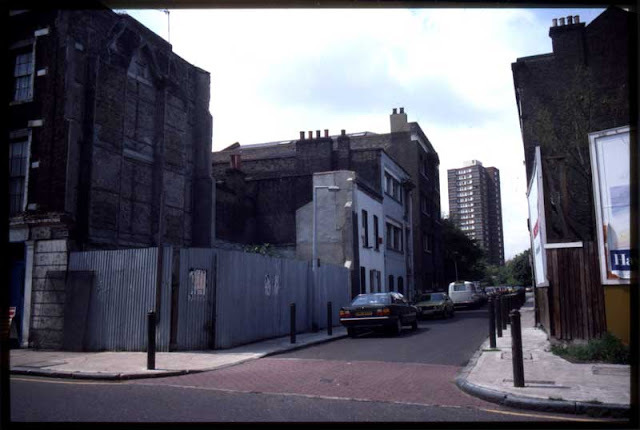 The fading sign-writing for 'Bermondsey Wireworks' is visible on the left. Neon Signs occupied No.1 with Arthur Smart (flags and banners) at No.3 and 5&7 was called 'Zincography House' and was used as a printworks. Photographer unknown. 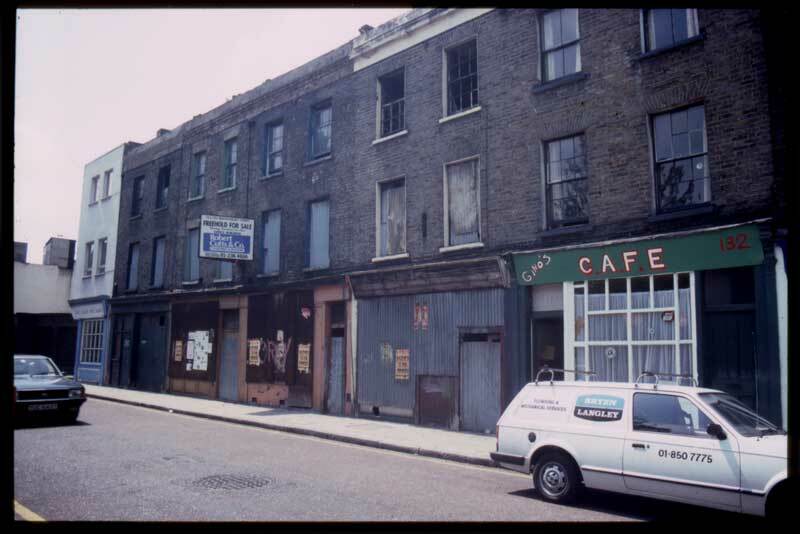 9 Tanner St (John Adams, Printers) showing the mural depicting aspects of Bermondsey life. At the time, this building had recently been purchased from Rankin Bros who had used it as a cork warehouse. 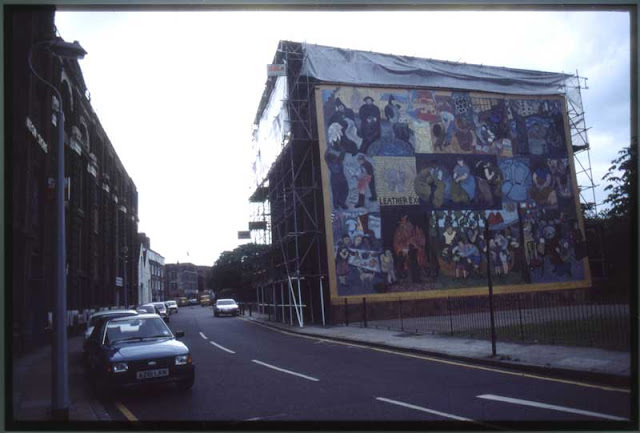 The mural was created as part of Southwark Council's 'Industrial Improvement Area' programme of the late 1970s. Reading clockwise from bottom left, the mural illustrates: the Queen's Jubilee; sheep shearing; Bermondsey Abbey; 3 Day Printers; Turtle & Pearce; Rankin Bros & St Saviour's Wharf; wash day; the local antiques business (featuring the late Neil Anderson); Hop picking; bonfire night and, in the middle, the Leather Exchange and leather working. Photographer unknown. 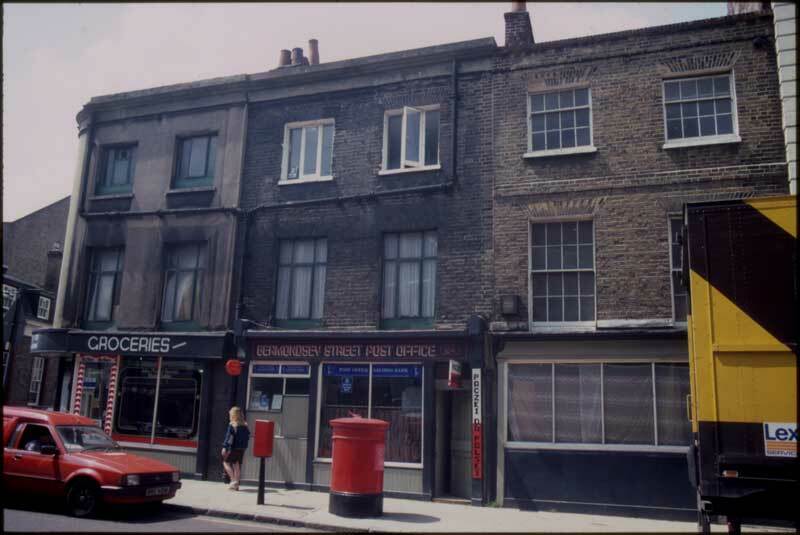 Bermondsey St. from what was the Midland Bank, just visible on the right, to what was 3 Day Printers on the left. Photographer unknown. The original location of the Bermondsey Street Post Office, near the corner of Bermondsey St and Morocco St. The radical 'Bermondsey Lamp-post', a free school for local truanting children, was located in the upper floors of the grocery store. 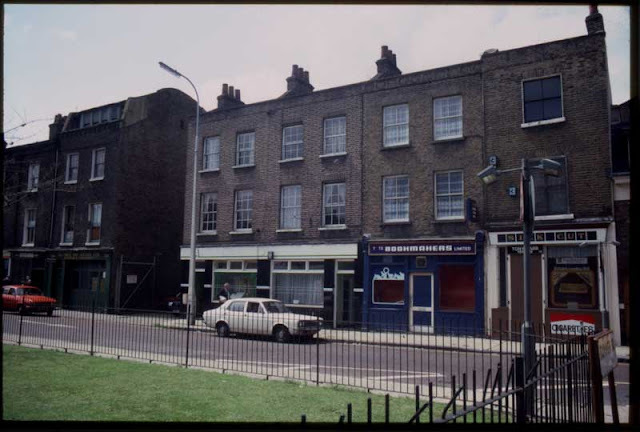 In the aftermath of the property crash of 1989/90, the grocery store (which had become Goode Foodes) and the Post Office were the focus of arson attacks and largely burned out, although Goode Foodes survived. Photographer unknown. There was always a cafe somewhere on this block and, in 1984, it was Gino's. 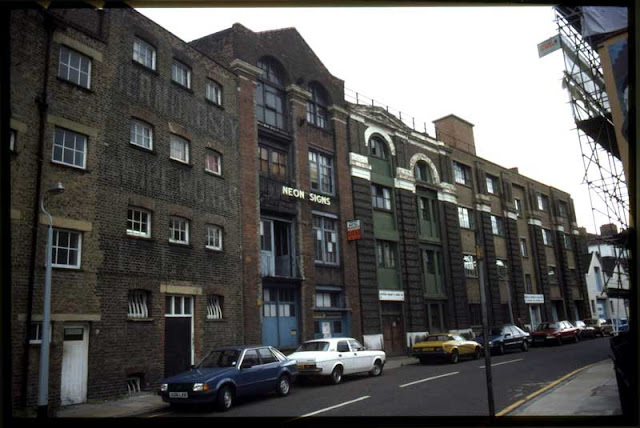 This terrace, 132 - 140, was demolished and redeveloped in the late 1980s by the same developer who later purchased and started the redevelopment of Sarson's Vinegar Factory. Photographer unknown.